Your business is a series of events. In today's digital age, events are everywhere. Every digital action - across online purchases to ride-sharing requests to bank deposits - creates a set of events around transaction amount, transaction time, user location, account balance, and much more. However, there’s a good chance you are thinking of events --- and therefore your business --- in the wrong way. Get a better understanding of why today’s industry leaders are using Event Streaming & Confluent. Learn why the Confluent founders created Apache Kafka and how its taken the world by storm. Your systems don’t talk to each other. You most likely deploy disparate, disconnected systems to either store data as static snapshots or to move data as transient messages. With this existing data infrastructure, you are essentially building applications with one eye closed; either the application provides a historical view of the business, or it provides a real-time view that lacks any essential historical context. Event streaming is the right foundation for your data. Your business isn’t just what happened in the past, nor is it just a single event happening now. Your business is the totality of all the events that are happening now as well as happened in the past. Event streaming maps to this, by allowing you to see your data as a continually updating stream of events. Finally, you can run your business in real-time, by building real-time applications with historical context --- all based off a universal event pipeline. Transform into an event-driven organization with Confluent Platform, the enterprise-ready event streaming platform from the original creators Apache Kafka.  Deploy Kafka in minutes with Confluent Cloud, a fully-managed Kafka service for the operationally nimble organization or the agile, cloud-first developer.